Eighteen months ago I’d never have believed I’d be travelling from New Zealand to Australia to take part in a Sisters in Crime event. For starters, I’m not a crime writer. At least, I didn’t know I was. The novel is narrated by 12-year-old Gracie, whose younger brother is one of the River Children whose lives are under threat. The story is about a community gripped by murder – essentially, a serial killer is at large – and I worked hard to build suspense and create a feeling of menace, but it never entered my head that I was creating ‘crime fiction’. I always thought a crime novel needed to include a detective – or at least a pair of policemen or women – who’d eventually solve the crime. In All Our Secrets the police action is limited to what Gracie witnesses, which isn’t a hell of a lot: “Hearing Constable Stewy didn’t make me feel much better. He took too long to answer the questions and when he finally got around to saying anything, it was usually, ‘Ahm’. The real detective work is done by Gracie as she gradually pieces things together. In fact, the thought that All Our Secrets could be labelled ‘crime fiction’ didn’t cross my mind until it was reviewed on the AustCrimeFiction website. Far from concluding that All Our Secrets didn’t quite cut it in the genre, Karen Chisholm declared it “an absolute gem”. Yet still, even after being named a finalist in New Zealand’s Ngaio Marsh Awards (for crime writing novels) and long-listed for the Ned Kelly Awards last year, I felt like a fraud. When I took a crime fiction ‘masterclass’ with award-winning Scottish crime writer, Denise Mina, I was waiting to be exposed as an imposter. But after I voiced my fear in the class, Denise assured me that lots of authors write crime novels by ‘accident’. So… it was by accident that All Our Secrets won the Ngaio Marsh Award for Best First Novel and, soon after, was accidentally published in Australia by Clan Destine Press (it was first published in New Zealand by Rosa Mira Books). Earlier this year, I was also accidentally invited to be one of three writers on the ‘new blood’ panel at Rotorua Noir, New Zealand’s first ever crime writing festival. As a result of this series of accidents, I’ve met many wonderful writers and readers and now feel like part of New Zealand’s thriving crime writing community. And I’m not even a New Zealander! Another accident – I met my now-husband, a Wellingtonian, when I was travelling around the UK. I was actually born and spent my childhood in the small village of Cambewarra in New South Wales. Although my fictional town of Coongahoola is not based on Cambewarra, ‘The Believers’ that invade it are loosely based on a cult that arrived in my hometown under similar circumstances, when I was around Gracie’s age. I’ve now lived more than half my life outside Australia, most of those years in New Zealand, but I still feel a very strong connection to my homeland – to the relentless heat, blinding sun, towering gum trees, deafening cicadas, and to my life there as a child in the 1980s. So, although I still can’t quite believe it, this is how I came to be planning – and greatly anticipating – a trip to Melbourne to join some proper crime writers for Sisters in Crime’s upcoming Felonious Communities and Fractured Families. When I’m not contemplating crime writing events, I’m working on accidentally writing my second crime fiction novel, which is also set in Australia. Jennifer – along with Jennifer Spence and Joanna Baker – will be talking to guest compere Vikki Petraitis about the murderous intertwining of love and family secrets, and its place in broader society. Felonious Communities & Fractured Families will be held on April 12 at the Rising sun Hotel in south Melbourne. 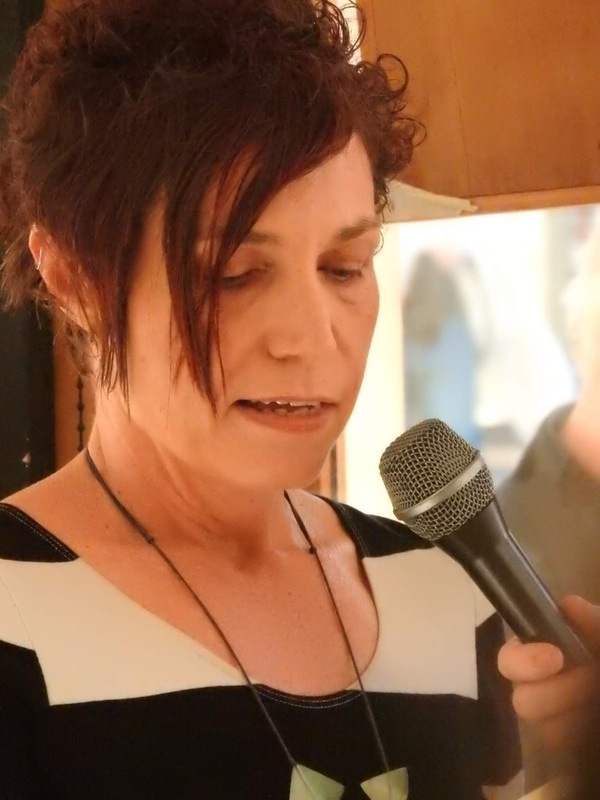 Jennifer Lane was a winner of New Zealand Book Month’s Six Pack Two competition in 2007, and her short stories have been published on both sides of the Tasman. She lives in Wellington, New Zealand, with her husband and two daughters, but feels equally at home in New South Wales, Australia, where All Our Secrets is set. 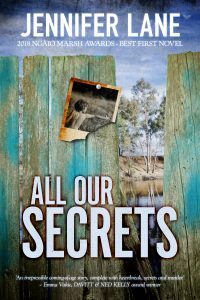 All Our Secrets was first published in New Zealand by Rosa Mira Books (2017) and won the Ngaio Marsh Award for Best First Novel in 2018. 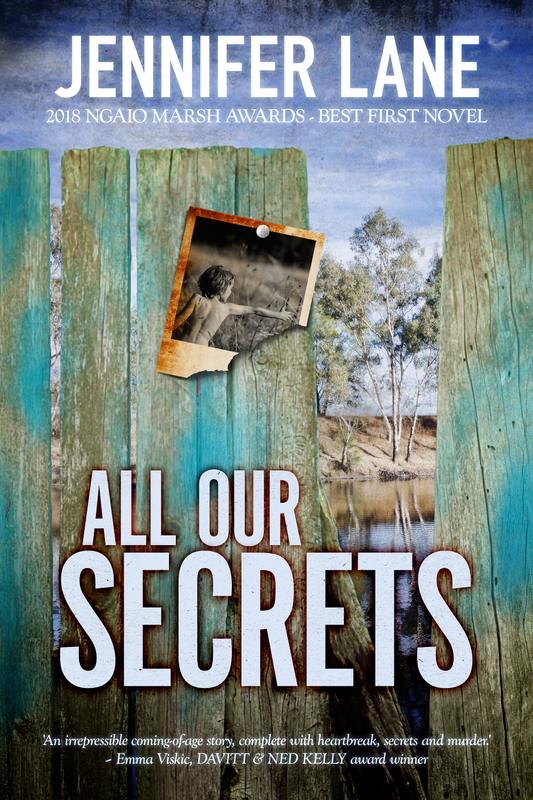 All Our Secrets has since been published in Australia by Clan Destine Press.